On April 1, 1578, Harvey was born in Folkestone, England, to a prosperous family. At age 16, he enrolled at Cambridge University and earned a bachelor’s degree in 1597. He then attended the University of Padua, where he studied with the anatomist Fabricius, whose work involved detailed observations made during repeated and rigorous dissections. Before earning his medical degree in 1602, Harvey became fascinated by Fabricius’s live demonstrations of the heart and circulatory systems of dissected animals; however, Harvey was puzzled by the heart’s flap­ like valves whose functions were not yet known. Harvey returned to London to practice medicine and, in 1607, was elected to the Royal College of Physicians. Although he practiced medicine for 31 years at St. Bartholomew’s, one of London’s most prestigious hospitals, his true passion remained research. He conducted original investigations into the vascular systems of snails, frogs, chickens, and people, and he recognized similarities between these species. He observed how arteries and veins were connected (conclusions made decades later by Italian biologist MARCELLO MALPIGHI and reasoned that the blood must flow in a closed circle under the power of the beating heart. He proposed that the valves in the heart and veins are necessary to keep the blood flowing in one direction. In 1628, he published these revolutionary ideas in An Anatomical Exercise on the Motion of the Heart and Blood in Animals. Harvey’s new theory of circulation challenged GALEN’s idea of an open system in which blood moved with an ‘ocean­like’ ebb and flow. Harvey’s success as a medical practitioner earned him prestige. In 1618, he was appointed one of the physicians to King James I, and in 1631, Harvey became the main physician to King Charles I. The English Civil War forced him to leave London in 1642. 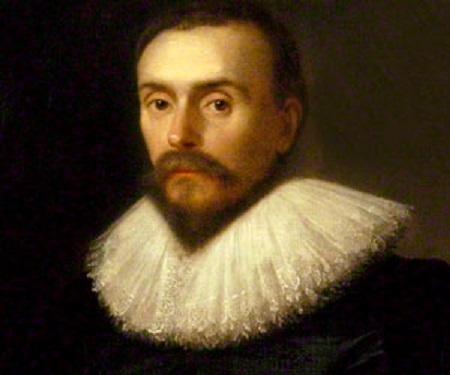 Upon his return to London after the kings execution in 1649, he continued to study the embryology of deer and other animals, work he had begun before the civil war. His studies focused on investigation into the phases of mammalian development. His book, Exercises on the Generation of Animals (1651), emphasized the importance of observation and experimentation. Followers of his advice formulated modern physiological concepts of normal and abnormal functions within the human body. Harvey died in London on June 3, 1657. Harvey’s discovery of blood circulation .represented a major advance in the understanding of animal biology and marked the beginning of modern physiology. His advocacy of rigorous scientific investigation raised the standards of science and scientific research. Harvey’s work was controversial during his lifetime. Because Harvey rejected the authority of Galen, especially his erroneous assumptions about the circulation of blood, he was ridiculed by many of his contemporaries. However, he was an inspiration to others, whose further research soon confirmed his claims. RENÉ DESCARTES, the influential French philosopher who proposed an enduring mechanistic view of science and nature, incorporated Harvey’s discovery into his work Descartes’s 1637 Discourse on Method includes a section on physiology and uses the circulation of the blood to illustrate the author’s approval of a quantitative, mechanistic approach to scientific methodology. Harvey’s methodology involved direct observation, dissection, record­keeping, and conceptualization based on first­hand knowledge. These rigorous methods advanced the practice of science as a discipline separate from history and philosophy. Harvey’s work was extended by other scientists during the second half of the seventeenth century. In 1661, Malpighi observed and described the function of the capillary blood vessels, completing the understanding of the circulatory system. English physiologist Richard Lower made the first successful direct blood transfusion in 1665, from the artery of one dog to the vein of another. Harvey also contributed greatly to future medical practice by recognizing the concept of the pulse rate of the heart. He observed that the rate a heart beats can be measured by counting the number of pulses per minute in an artery. This technique is now a standard part of medical diagnostic procedure. Harvey’s work stands out as a significant milestone in the development of biological science, to which the understanding of the circulatory system has been immensely important.